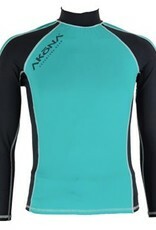 The AKONA rash guard is your solution to UV protection. The 8oz. (227 g) 4-way flex nylon / spandex composite has a 50+ sun block rating, that blocks 97.5% of the sun's harmful rays. The rash guard is fast drying and odor resistant. 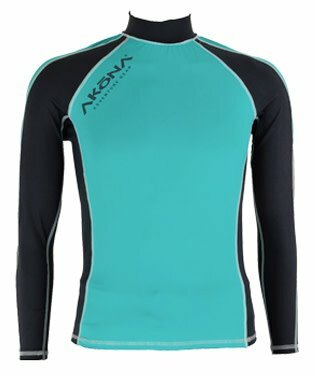 This very breathable rash guard has flat lock stitched seams for strength and comfort. Rash Guard is available in pink, black or blue colors and comes in 6 sizes from XS to 2XL. Like other AKONA gear they are covered by a 24 month limited warranty.